Welcome to Catholic Prayer Request. People from across the world will be praying for you or your cause, from the United States, Australia, Bangladesh, India, Pakistan, The United Kingdom, Ireland , Africa, Caribbean, Russia, China and Europe to name but a few will be praying for you or your request through the Catholic Prayer Request. 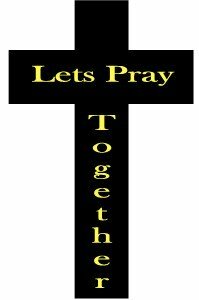 To put a prayer on the prayer request costs only $2.50 this is not for the prayer itself its the cost to takes put the prayer on the prayer request page. You can also have a candle light for your cause. Select form the box below and when your finished paying you will be sent to a form were you fill in your prayer request. We will not post any request if there is offensive words used, the request may be worded to make easer reading but no request will be left out. Your prayer request will be lifted up in prayer for 7 days by this point you will be prayed for by tens of thousands of Catholics across the world. What would you like the prayer request for: Please pray for my daughter Madison that she will be in good health and not need surgery. Please give us the guidance and knowledge to make the right decisions. Country: United StatesWhat would you like the prayer request for: John has been accepted into a very good school program that will allow him to build a better life for himself. He has tried hard to turn his life around, but some mistakes of his past might get on the way of the future. Please pray that everything works out so that he can complete his program. He is a good person with a very good heart and truly deserves this opportunity, God bless you and thank you. For my daughter maureen and mark her boyfriend and their little boy danny that they will marry. Pray for my husband to stay sober from this day foward. Pray the his brother will turn out to be a good brother and to stop being abusive and they become close. please,pray for my daughter.dear GOD,please help her in her daily needs.thank you.GOD bless you. I ask that you would please pray for my 7 yr old son Zachary who finished treatment for a rare form of cancer 7 months afo, but at his last CT scan they saw spots on his lungs. Please pray that these are not a spread of cancer and that they no longer are there on his next scan 07-24-09. Thank you. Please pray for the good health, protection from all accidents, danger, evil, harm in all forms or design and all sources for me, my husband, my daughter, all family members and extended family members, friends and colleagues. I pray that my marriage is blessed and survives all the trials and tribulations that come with it. I also request prayers for my family's finances. My husband and are debt ridden and pray that we are delivered from debt, financial worries and constraints, our house is saved from repossession, our businesses that we have just started thrive, are successful and attract the right kind of clients and that we secure better paying jobs with better benefits. Please pray that my husband is healed from addiction to alcohol and cigarettes, that he is more responsible and that all his dreams and aspirations become a reality. I pray that my daughter grows up in the light of the Lord, that is becomes a responsible person who knows right from wrong and good and bad, and that all her wishes, dreams, aspirations are realised. Pray for me to get thru with my Business Financial. PRAY FOR AIDEN WHO IS HAVING COMPLICATIONS FROM SURGERY TO REMOVE A CANCEROUS TUMOR FROM HIS SPINE. HE IS NOT DOING WELL AND WE PRAY FOR GOD'S INTERCESSION...MAY HIS WILL BE DONE. WE PRAY FOR THE FAMILY, THAT GOD WILL GIVE THEM THE GRACE TO DEAL WITH ALL THE TRIALS AND TRIBULATIONS THEY ARE DEALING WITH. I would like to pray for my wife, Rebecca King. She finds out today if she has cancer in the liver this day. I pray and please offer prayers that it is not. If it is, then Lord please grant her healing. May the Holy Spirit fill her with hope. Take away her worries and fears. Please give her the strength to face this challenege. When you receive answers to your prayers, please return to the site and let us know how it has helped. There are indications that my depressed friend is improving and they have given up smoking.Also indications of the requested healing of a life.Thank the Lord.